The Federal Highway Administration (FHWA) policy on pavement recycling states “Recycling of pavements can offer engineering, economic and environmental benefits. Recycled materials should get first consideration in materials selection.” Recycling techniques replace old and distressed pavements with a new, smoother and safer road that is durable and crack-free. These techniques are economical since they reuse the asphalt and aggregate in the old road to build the new road. Recycling also reduces hauling costs, and wear and tear on adjacent roads since the road is built in-place. Challenges continue to exist for the broader use of recycling techniques. Poor-performing applications that prematurely fail often cause agencies to eliminate or reduce the number of and frequency with which pavement recycling techniques are utilized. Improving technique performance and durability is an important focus of the industry. 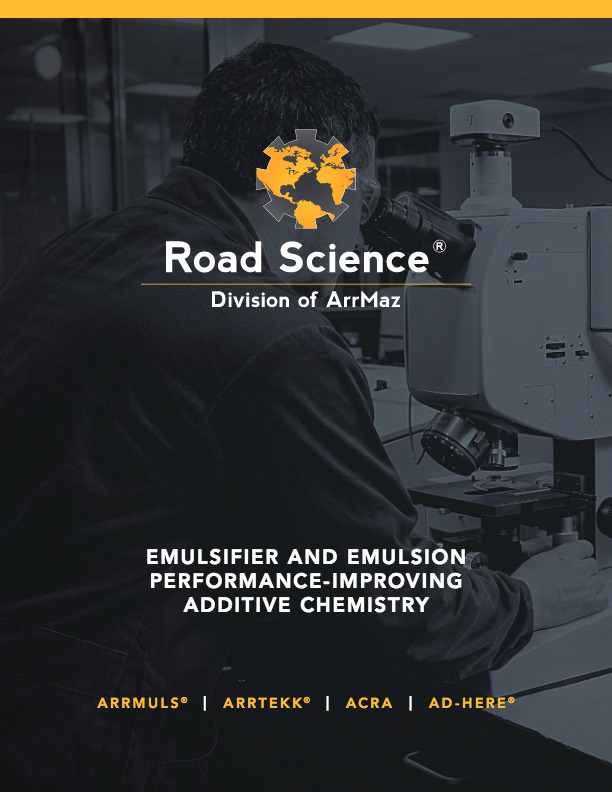 Road Science leads the industry in innovating emulsifier and additive chemistries which elevate performance standards for recycling. Our chemistries add durability, speed up traffic return time and make construction easier in Cold-in-Place and Cold Central Plant recycling, as well as in Full Depth Reclamation and Hot-in-Place recycling. We have also innovated ground-breaking design techniques and specifications to dramatically improve the quality, predictability and dependability of pavement recycling.